Sorry for the title…that reference to an old George Jones song just crept in. 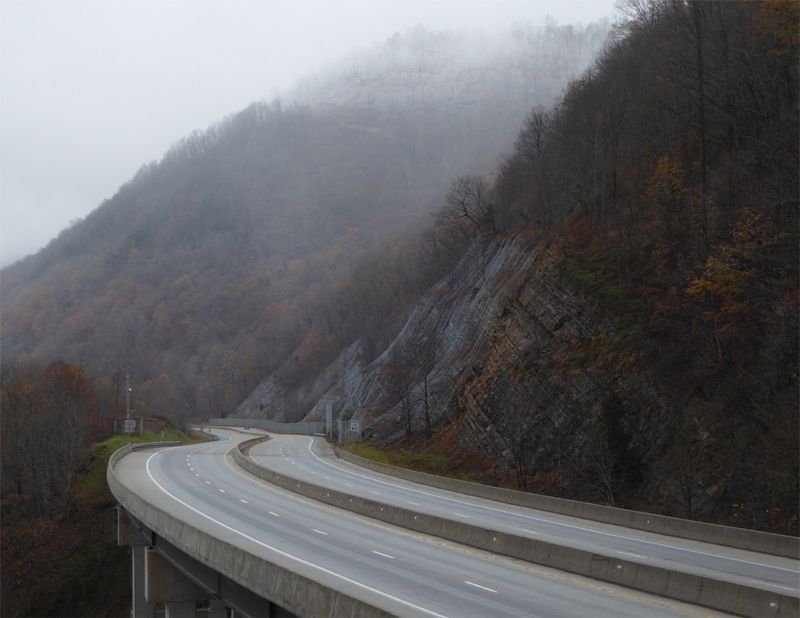 This is up near the top of Powell Mountain on the Orbie Cantrell Highway (U.S. 23) on November 19. The overlook is just behind me. That’s snow blowing in over the mountain. It wasn’t a significant snowfall, just flurries, but it was the first I’d seen this season.